It’s only been a couple of weeks since the first batch of Ice Cream Sandwich (ICS) loaded phones were released, the Samsung Galaxy Nexus, but already custom ROMs are being updated to allow users of other phones to use ICS. Luckily for me, a Samsung Galaxy S (I9000) owner, development for this widely popular phone has been going strong for a while. Custom ROMs from Darkys ROM to CyanogenMod allow for quicker Android updates with much better features and a lack of Samsung’s bloat-ware. So it seems the next version of CyanogenMod (CM9) will be ICS based and keeping up with the SGS development “Teamhacksung” have started porting over the new version which will soon become the latest version CM9. It’s still in its early stages and there are a few known bugs which need to be sorted but they’ve released a ROM for public testing. After a day or so of testing, everything feels smooth and finished, it seems to be much more user friendly in comparison to previous iterations of Android. It’s kind of like they’ve realised it’s not just linux geeks using Android any more and it actually has a pretty large market share and they had to re-design it to be for everyone. 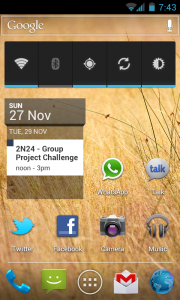 The home screen hasn’t changed dramatically and still follows the 4×5 grid of icons and widgets. The biggest and in my opinion most needed change here though is the relocation of the search bar, no longer is the search bar a widget but it now sits directly under the notification bar and remains constant on all home screens. This clears up an extra row for other icons and widgets but doesn’t over crowd the place. 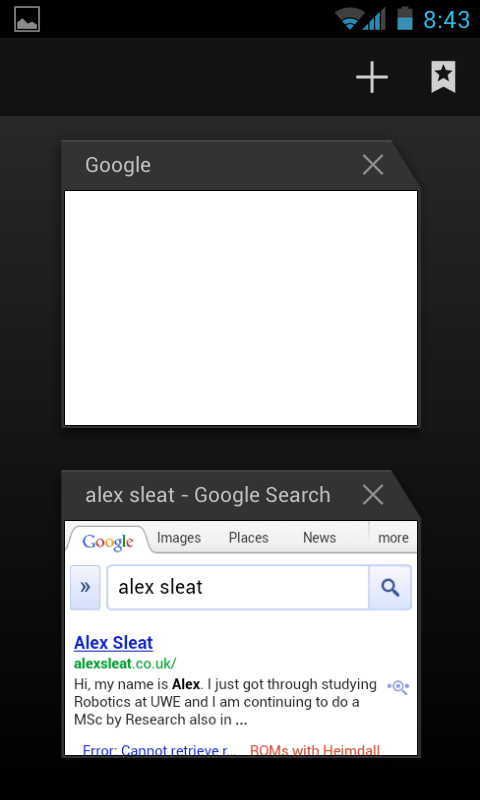 When editing the home screen icons and widgets (long pressing on one of them), the Remove section replaces the static search bar at the top of the screen. Additionally while editing some widgets, such as the Calendar, allow for resizing, by framing the widget with a blue border with dots in the centre of each which can be dragged to change the length or width of the object. It’d be good to see this as a standard across all widgets even if setting limits was also done. Folders are still here and they are a bit more awesome, to make a folder you simply drag one icon on to another and they bunch up. Clicking on the bunch opens up a pop up with all the icons in. 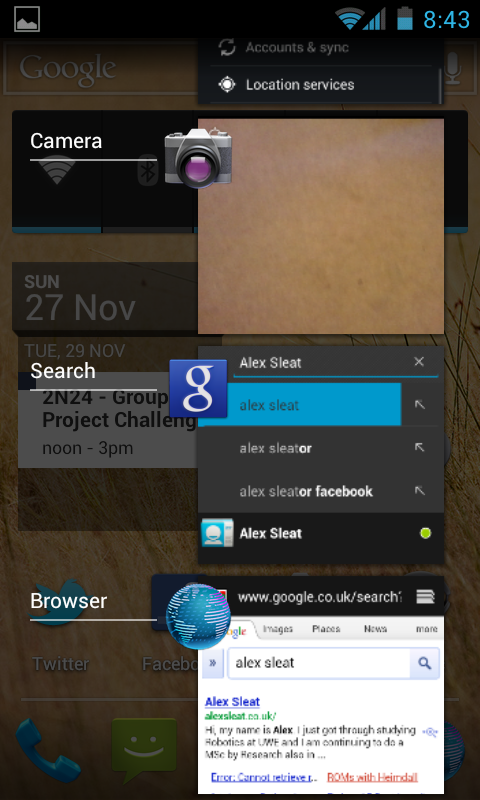 The app drawer is now 4×5 screens which can be switched left and right between, still organised alpabetically. Now however going past the last page of apps brings you to a list of widgets which can be held down on to drag to a home screen. The app drawer also has a quick link in the top left to the market place. It’d be great to see more customisation here, allow for constant flow of apps from left to right rather than in pages or alternatively up and down scrolling. Multi-tasking is made much simpler in this iteration of Android, holding down the home button brings up a vertical list of running applications. Clicking on one will take you back to the app at its last used screen and also gives you a preview of the screen you’ll be heading back to. Sliding the appliaction left or right however will close it. This is a much simpler way for non-power users to understand what’s going on and might help them control over the occasional lag which can come about when you have too many applications open. It also really makes switching between two applications a breeze. 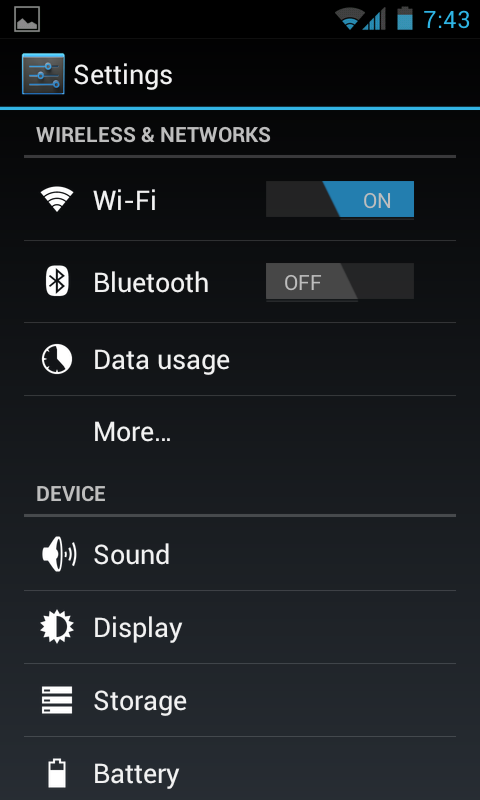 The settings menu have been cleaned up dramatically and now provide a lot of the useful settings at a much easier level. Things are grouped rather than a huge list of things and are generally much easier to understand. One of the biggest new features to this version is the addition of Face-recognition to unlock your phone. unfortunately because the current ROM used to review this doesn’t have a very stable front facing camera driver it wasn’t really working in my tests. Essentially you hold the camera in front of your face for a few seconds while it calibrates to your data and then when you unlock your screen the camera will start up and it should only take a second to detect your face and unlock, if it fails it has a fail safe which allows you to also enter a pin or pattern to unlock. Two main issues arise, firstly as pointed out by the setup, the fact that people with similar faces will be able to unlock your screen, so don’t expect that your siblings can’t frape you. Also a picture of your face would also work, since it’s not 3D detection a photograph will also work for unlocking your phone. Screenshots are built in to this verison of android (it really made this review easier ;)) Just hold down the Volume Down button and Power button at the same time, a second or so and the screen will flash and it’ll save a screenshot in a folder on your phone. The browser has had a few tweaks including the way tabs are handled. Overall it’s a nice clean update, I can’t say the difference between honeycomb since I don’t own a tablet but I’m sure this will be a welcome change to both phone and tablet users. 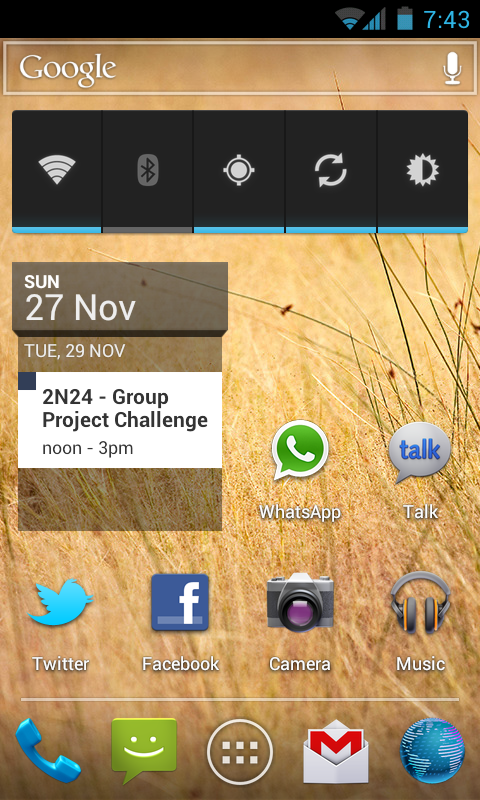 Android 4.0 or Ice Cream Sandwich (ICS) finally brings screenshots natively to the mobile platform, to a lot of users of custom ROMs such as CyanogenMod or Darkys ROM it may seem like this has been a feature for a while but that isn’t the case.